Did you forget to copy the google analytics code to your new template ;)? Oops... of course you are right! I don't know how could I have forgotten about that. Nice layout and some great photographs. I use the same source for my blog templates. Visit your blog from Bikran's blog. Nice blog and I really enjoy reading it. Thanks for bringing me to places I probably would never be LOL!. 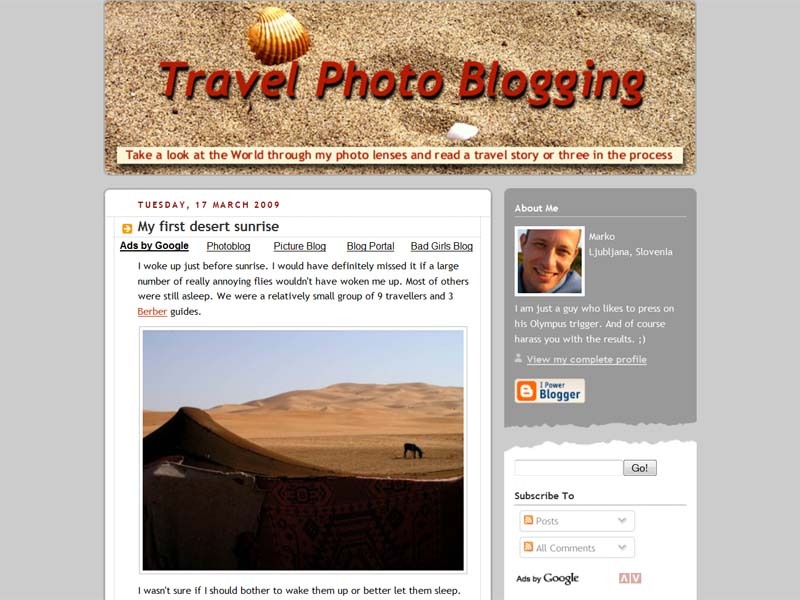 Owh by the way, the new look is totally suit your blog purpose. I like the header's pix. I like the new one better. I'm fascinated by the header picture, actually. Thank you all for encouraging thoughts. Is there no one out there who liked the old template better?